No, it's not parkour or dropper, relax. 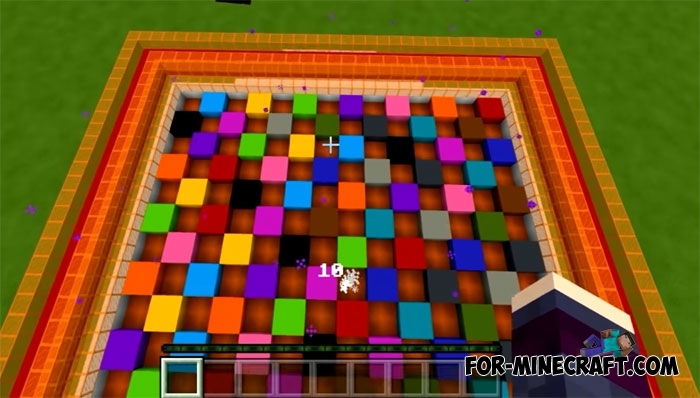 There is a large playground consisting of many multicolored blocks, all possible colors are collected here. Split your legs and click on the activating map button. The map is ready and you have only 10 seconds before you lose if you do not take any action. Your goal is to find the block that is in your inventory. This block will automatically appear in your inventory after the level begins. Such tasks are easily solved for those who distinguish between colors and see many shades, although there are not many colors in Minecraft PE, so some players will not find it difficult to do this. 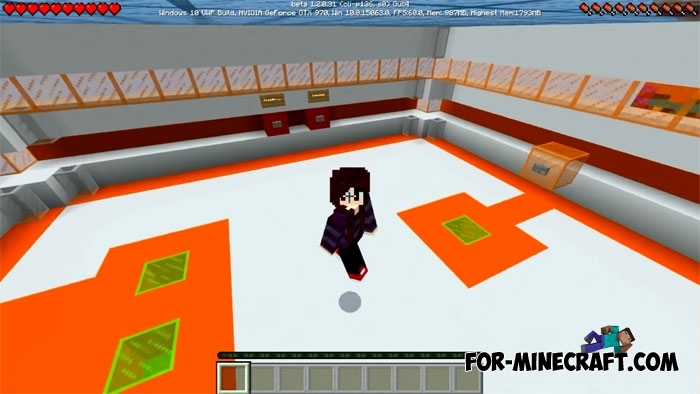 The multiplayer game is even more interesting, the first few levels will become very fun as all players are in the same arena and in the same conditions. Remember, you have 10 seconds and no more.